When it comes to building a site, there’s no argument about the importance of a mobile friendly interface. In fact, it is a given. Most designers factor in mobile users when developing websites. To buttress the importance of this, Google confirmed that consumers now conduct more internet searches on mobile than on desktops. This comes as no surprise, giving the “on the go” behaviour of consumers that has reshaped the shopping scene in recent times. It is clear that if they haven’t already, all websites should allow for mobile integration into their design. Going Native app or Responsive Design? However, there’s a clear opposition between in-browser content through responsive web designs and in-app content via native apps. This has been a lingering subject of debate among designers. 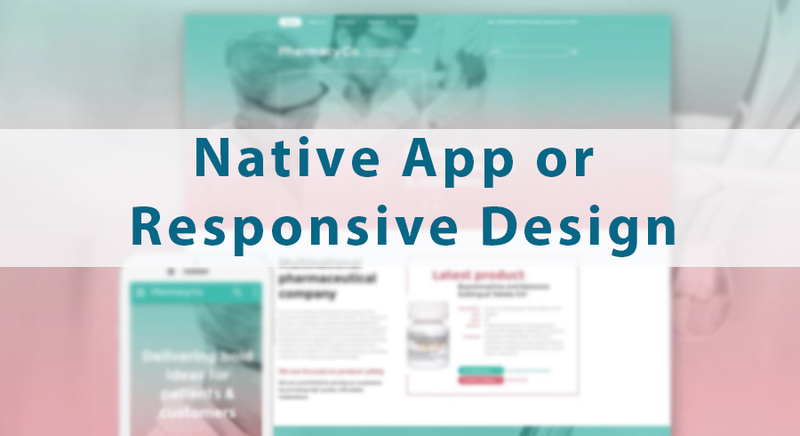 Which should you pick- a native app or a responsive web design? Or both? When should a website go the native app route over a responsive design? Is it possible to run on both? Every creative project manager must make decisions in this area. Before we go further into details, let us understand a bit more about responsive layouts and native apps. What is a responsive web design? What are the pros? A responsive layout is a website designed to accommodate every possible screen size, including desktop and on mobile devices. To adjusts its content to the display, it uses CSS media queries. A responsive web design easily helps you optimise your website for users on various devices. This is applicable especially where you don’t have enough time or resources to build your mobile site or develop a distinct native mobile app. With adaptable grids, images and CSS media queries, you can easily adjust your website to suit any screen size. A responsive web design (RWD) is faster to design and build, so if you are making a website from scratch up and want it optimised for mobile, it is smarter to go for an RWD. Most company and personal websites are better suited for an RWD. Whether it is a product page, e-commerce website, or a portfolio, a well-managed responsive web builder is good for majority of them. RWD have easier navigation and less advanced features which guarantee better results. Building an RWD is less expensive than other mobile optimised website or app because it takes less time. And less time translates to fewer hours spent on development. With a responsive web builder, there is no need to develop a separate m. URL mobile site or build a native app. Another important advantage is that Google loves RWD. Having said all these, RWD are however not perfect but we can contrast the differences by looking at the advantages of a native app. What is a native app? What are its advantages? The alternative to an RWD is to build a native app. This requires re-developing your own content or creating it completely from scratch. This takes a lot of time in development hours and is more demanding than a RWD. What are the advantages of a native app (over an RWD)? They don’t require an internet connection to function or display content. Once they have been downloaded and installed by the user, native apps are good to go on any mobile device. Apps where users can save data in offline mode and view later online, are very accessible and prefered by many users for their convenience. Because they are under no obligation to upload things from the internet (not all of them), native apps have a smoother flow, and better user experience than the RWD. They also permit the execution of more complicated navigation or content search, which gives a user leeway to make decisions straightaway. Perhaps, the greatest advantage of native apps, as designers may argue, is its ability to incorporate any feature you want into it. With the RWD, you are limited by issues such as page loading speed, ease of navigation and performance. Native mobile apps have no such limitations. When creating a native app, you can run it in the background, customise push notifications or use the components of the device like an accelerometer. As companies continue to request more and more data, consumers are becoming more security conscious. Security is something that can make or break a business. Once users lose trust in your ability to protect their personal details, it is almost impossible to win it back. A native mobile app provides better security to protect any user’s data. By setting your mobile security at maximum levels, your business will benefit from consumer’s trust. Having given all these options, it is left for you to decide, which is better for your business strategy? There is no ‘bad’ choice. What it essentially comes down to is what’s most suitable for your business type or audience. Building a fully responsive website that operates on any screen will likely impress most of your visitors. 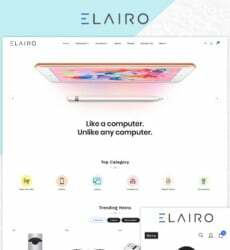 So, if your website already has a responsive layout, is it necessary to bother about a native app? The answer for this comes down touser experience. Think about which method offers the ideal application for your specific project on a mobile device. Are your users better off with a native app? Or is a responsive web builder able to do the job? Check out CreateASite Easy DIY Website Builder | Freeparking for a range of responsive templates that you can build yourself. The technology news blog TechCrunch runs has both a responsive web layout and a free mobile app, both for genuine reasons. Recently, they posted a story that consumers in the US spend more time on mobile apps than watching TV. Say, someone tries to connect to TechCrunch on Twitter? If they click that link on their iOS device, it will take them to Mobile Safari because it is a HTTP link. In this case, a responsive web layout is useful because not everybody will want to download your app. That said, some users will want to access your website without being compelled to download an app, whether it is free or not. So, it’s up to you, which feature is most suitable for your business.